Violet Margaret Livingstone Ballinger was born on 11th of January 1894 in Scotland.She emigrated to South Africa with her family in 1904.She was a member of the white Native Representatives Council (NRC) in the 1930s, and together with Senator Edgar Brookes helped to change parliamentary debate from one focusing on control of the black population to one concentrating on the long-term welfare of the black population. Ballinger focused her efforts on the Assembly. In 1943 she put forward a motion calling for new direction in the administering of Native Affairs, and the acceptance of the Smit Report. Ballinger's father was an accountant that lived in the Orange River Colony that fought against the British in the Anglo-Boer War and had been a prisoner of war for 18 months on St. Helena Island.Ballinger attended school in the Cape and went to Rhodes University to earn honors degree and won a scholarship to Somerville College at Oxford where she completed a master's degree in history. She taught at Rhodes for a short time but then she became a senior lecturer at the University of the Witwatersrand in 1934 until she got married but the rules of the University at the time made her to resign. Her husband, William Ballinger was a British born that had come to South Africa as an advisor for Clements Kadalie in 1928. In 1936 she was a Represantative of native and her friends motivated her to stand for Parliament as a Represantative native.In mid-1937 she defeated four male candidates in elections and became a representative of africans in the Eastern Cape.She remained unbeatableas a member of the House of Assembly until 1960,when the National Party stopped the Native representation.In 1953 she became the president of the Liberal Party that was created to promote a reform.Ballinger later became a member of Parliament, and was one of very few people who openly criticized H.F. Verwoerd. In 1947 she suggested to Smuts that the permanent existence of blacks in the towns be recognised. She also called for better training for black farm workers and the creation of labour exchanges so that pass laws could be removed. With regards to black representation, she called for the extension of black representation to municipal and provincial councils and proper consultation with the NRC. 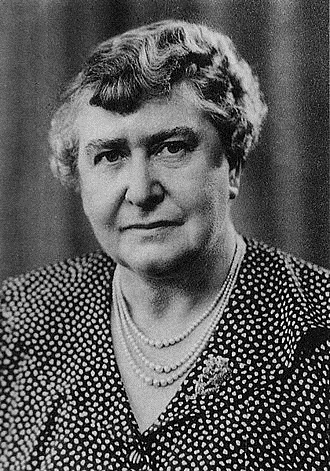 In 1955 she handed over leadership to Peter Brown and Alan Stewart Paton.She retired from Parliament in 1960.In 1967 she spent at Oxford writing her memoirs and published as From Union to Apartheid:A Trek to Isolation(1969).